Every weekend SEPTA stores a number of its cars at many of its outlying stations in preparation for the Monday morning rush. 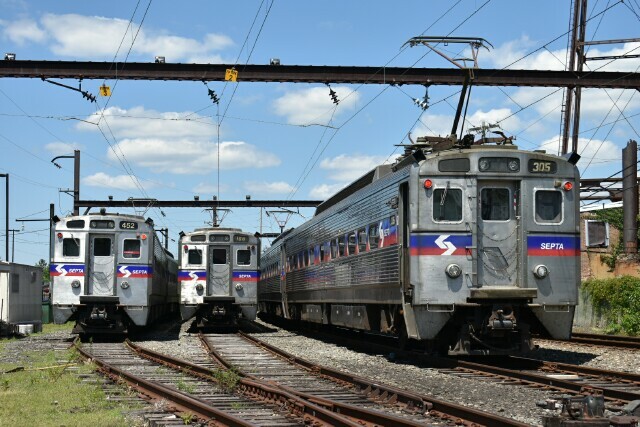 This particular weekend in Lansdale saw the MU yard filled with Silverliner IV's. Nothing special here except that one married pair is a little different from all the others. One of the units that was part of the retirement of the Silverliner II's back in 2012 was the camera car SPAX 266. 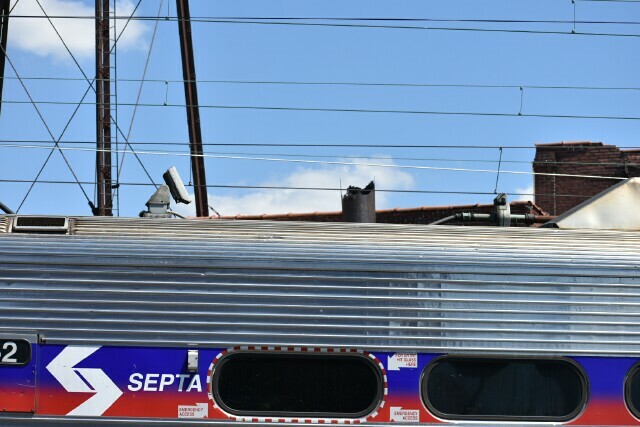 The cameras are used to periodically inspect the catenary across the Reading side of SEPTA's Regional Rail network. 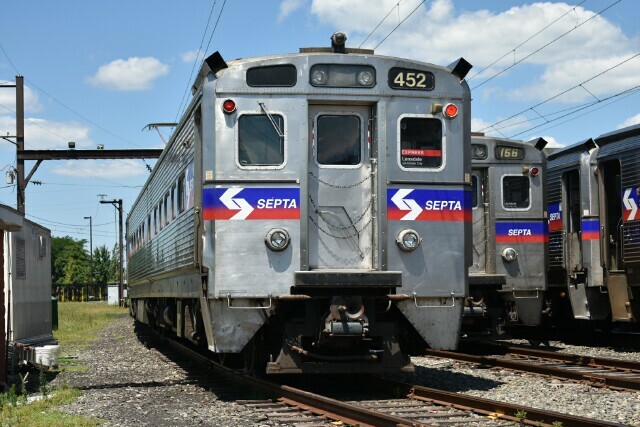 The replacement was the married pair 451-452, the set with the double SEPTA logos on the ends. 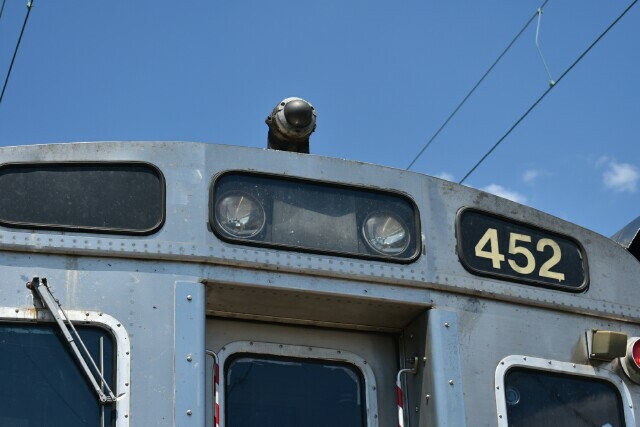 and what was the mid-car camera on 266 mounted toward the end of 452 due to the mid-car roof blisters containing the dynamic brake resistor grids. 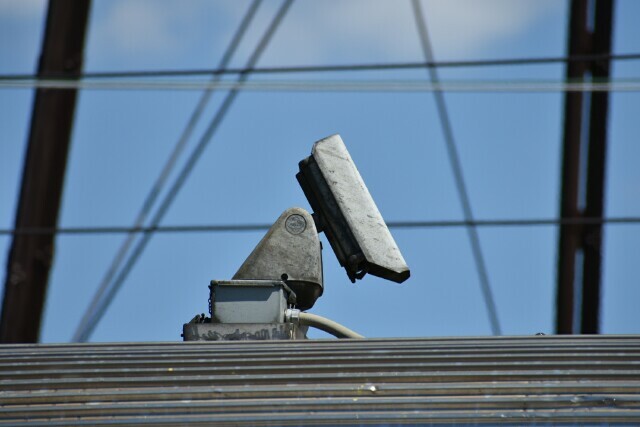 The camera is pointed down when not in use, as the cars are used in regular revenue service when not inspecting the catenary. 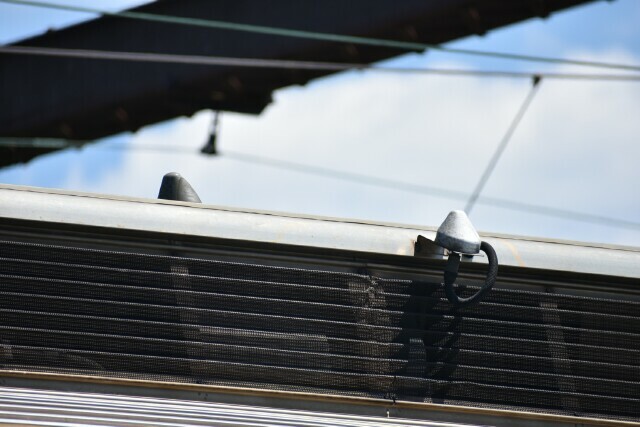 Not sure what these are attached to the roof blister, possibly antennas to transmit the camera feeds directly to the Rail Operations Center.